Merry Christmas from the Millennial Homemakers! This year, we’re celebrating by bringing you the Twelve Days of Christmas. 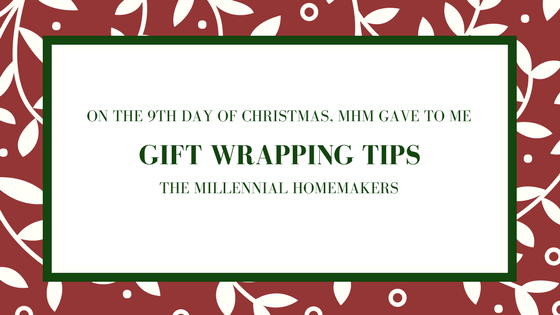 On the ninth day of Christmas, the Millennial Homemakers give to you - Gift Wrapping Tips! We’ll share some of our favorite easy and budget-friendly gift wrapping tips. Check out our 12 Days of Christmas Pinterest Board!